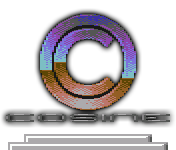 The Cosine.org.uk domain is, fingers crossed, about to move; during this transition there are likely to be some outages and afterwards www.tmr.cosine.org.uk will have changed to Cosine.org.uk/TMR so please bookmark that address. Our apologies in advance for any inconvenience, but this relocation has been on the cards for a while and it really needs doing. Update: The migration has now been completed and, if you're seeing this revised news item, everything should be functioning normally again!